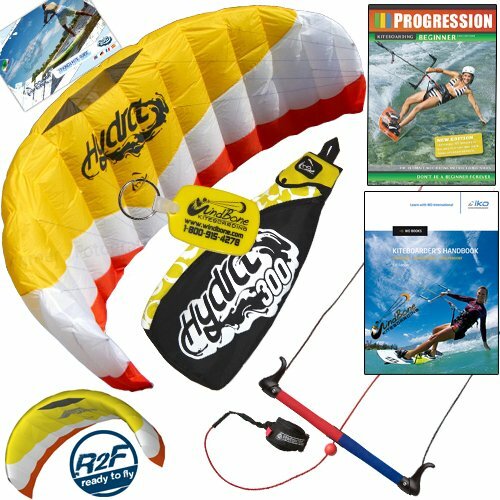 HQ Hydra II 300: The HQ Hydra (from HQ Power Kites) is the world’s first and only water relaunchable trainer foil kite. Extremely stable and easy to fly, this closed cell ram-air foil has no bladders to inflate or replace, yet it floats on water. A third line provides the safety system and the ability to reverse launch, making it perfect for use with absolute beginners. 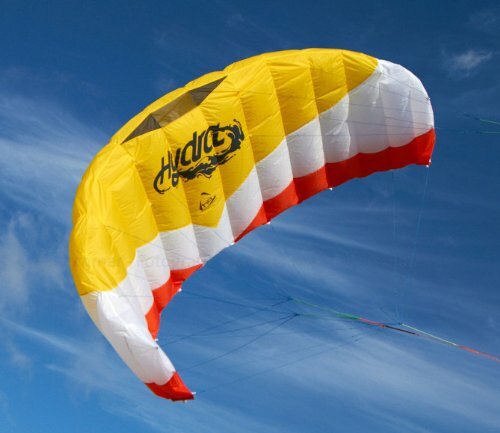 The HQ Hydra II 300 flies great in low winds and generates plenty of pull for bodydrags when the wind is strong. Progression Beginner Kitesurfing DVD Latest 2nd Edition: The Progression series of instructional DVDs are here to give you the confidence and motivation to improve quickly and safely. This DVD contains over 2.5 hours of in-depth content and analysis, covering every aspect of beginner kitesurfing from the technical basics to fundamental riding technique. 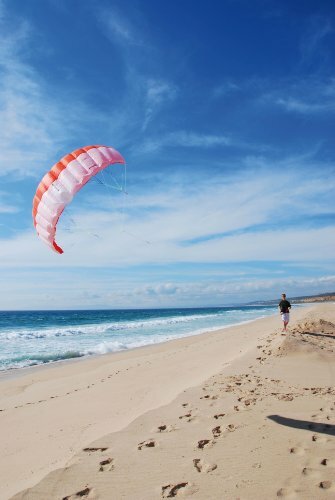 Chapter Topics include: Location and conditions, Equipment and terminology, Kite Setup, Launching and landing the kite, Body Dragging, Waterstarts and First Runs, Riding and Staying Up Wind, Change of Direction, Sliding Turn, and more.. 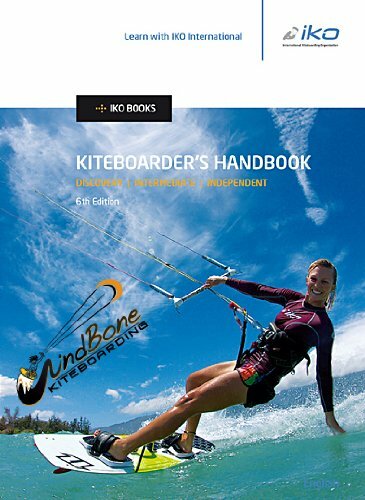 The IKO Kiteboarder Student Handbook is a necessary companion for any beginning or intermediate kiteboarder looking to become a safe independent rider. 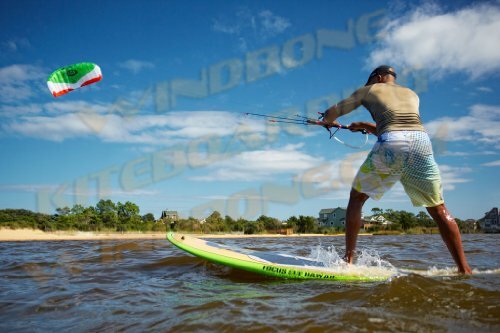 It is comprised of explanations, exercises, and a complete list of kiteboarding terminology that all help you learn: proper kiteboarding practices; techniques while outlining what should and should not be done at every step of the learning process..
**Any instructional material (books/DVD) are not intended to replace professional Instruction/Lessons.